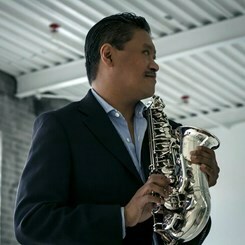 Dean James has a two Bachelor Degrees in Music Education and Music Performance from Berklee College of Music. He is a local performing musician and can teach flute and all saxophones. He's performed in many places like the BET, San Diego, KSBR, UCLA Jazz festivals, and has a few album releases under his belt. He currently performs at the House of Blues during their Jazz Brunch and Jazz night events. He has great experience arranging music, and easily adapts his lesson plans to the students interests to keep them engaged. Request Lessons with Dean today!